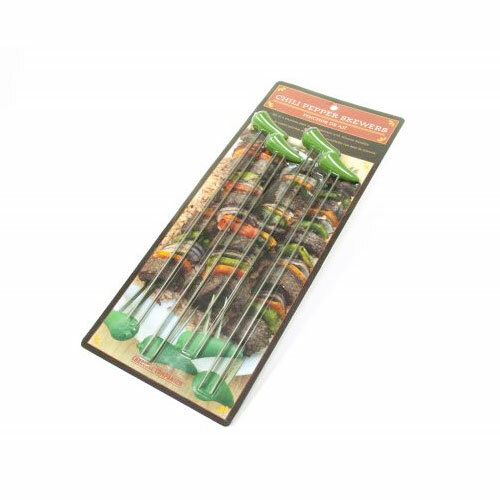 Silicone Chili Pepper Skewers | Patio and Hearth Co.
Load up these skewers and grill your favorite kabobs without worrying if the ingredients will move or spin! A unique double flat prong design holds pieces of food steady, unlike round single-prong skewers, which sometimes cause ingredients to turn and slide. A cute green silicone pepper brings spicy flair, no matter what you’re serving! Inquire about Silicone Chili Pepper Skewers using the form below.